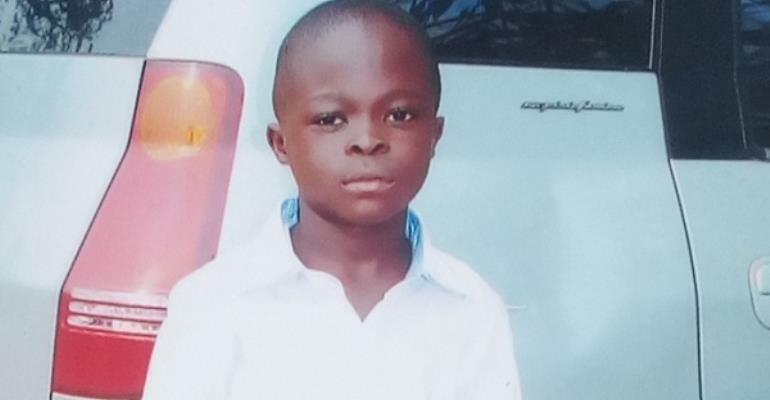 A banker in Sunyani in the Bono Region is passionately appealed to the public to help locate her missing 11-year-old son. Ophelia Mensah, 36, said Christmark Gyabaaaka Agogo, a Class 5 pupil of St James Primary School in Sunyani, has not been seen in the past 20 days, as all efforts to trace him have proved futile. He reportedly returned from school on March 28 and was last seen playing football with his friends in front of their house at PA Capital Estate, near Abesim in the Bono Region. Kwame Sika, father of the boy and ex-husband of Ophelia, was originally thought to have ‘abducted’ his son since he is said to have done so on three previous occasions. He was previously reported to the police who ordered him to desist from the practice. Ophelia told DAILY GUIDE that her ex-husband might be behind the disappearance of the boy. She claimed the police are not being tough on Kwame, who has denied any wrongdoing. Sunyani West District Police Commander, Chief Superintendent Franklin Kramo, refused to comment on the matter when contacted earlier. He reluctantly told DAILY GUIDE later that his outfit had invited the parents over the matter.